The Toyota Motor Corporation is a Japanese automotive manufacturer that is headquartered in Aichi, Japan. In October 2016, they were the fifth-largest company by revenue in the world. Toyota is also the first manufacturer in the world to produce more than 10 million vehicles a year, which it has accomplished since 2012 at the same time it produced its 200-millionth vehicle. Toyota is the world’s third-largest automaker behind Volkswagen and Renault Nissan. As of 2009, Toyota listed 70 different varying models sold under its name. This included coupes, sedan, vans, trucks, crossovers and hybrids. Some of the most popular cars have been the Corolla and Camry. The popular crossovers through the years were the RAV4 and Highlander. This company wasn’t always the leader in automobile sales. Take a closer look at how they became an automobile giant. Sakichi Toyoda created the Toyoda Model G Automatic Loom in 1924. Made under the principle of jidoka, the machine stopped itself at the sign of any trouble. This technology was then used as part of Toyota’s Production System. Creation of the looms continued on a small production line. In 1929, Toyoda then sold the patent for the loom to the Platt Brothers, a British company. This sale generated the starting capital needed to begin development of the automobile company. In 1933, Toyota automobiles were born. They began as a division of Toyoda Automatic Loom Works, under the direction of Kiichiro Toyoda, the founder’s son. The G1 and A1 passenger cars were the first vehicles produced in 1935. 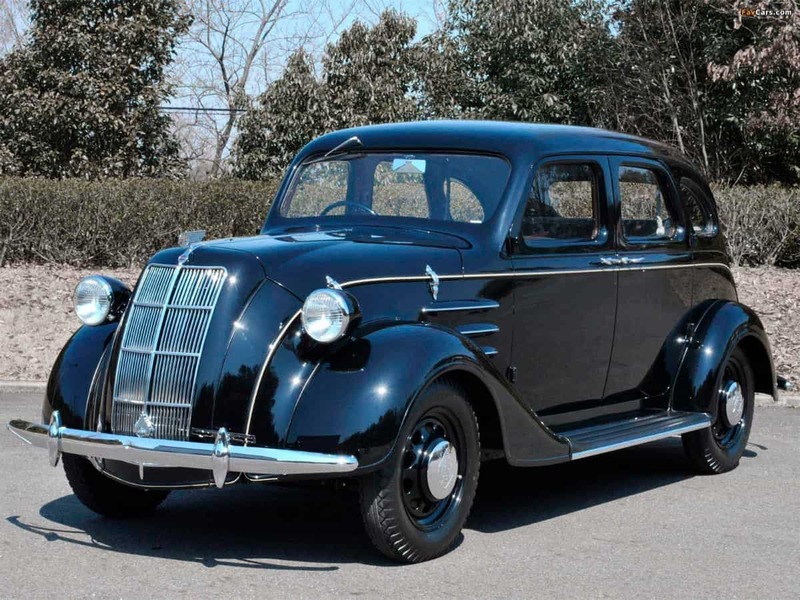 In 1936, the Model AA was sold at a price of 3,350 yen. This came in 400 yen cheaper than a comparable GM or Ford vehicle. Toyota Motor Company was registered as the company’s name in August 1937. From 1947, small-sized vehicles were sold under the name Toyopet. This included the Toyopet SA and the Toyopet SB light truck. In addition, they sold the Toyopet Crown, Toyopet Stout light truck, Toyopet Corona, and the Toyopet Master. When Toyota reached the American market in 1957, they dropped the name Toyopet. In other markets, Toyopet continued on until the mid-60s. The United States placed import tariffs on some vehicles beginning in the early 60s. This so-called “chicken tax”, added 25% tax on imported light trucks. As a response to this tax, Honda, Nissan, and Toyota began to build their own plants in the United States during the early 80s. During the oil crisis of 1973, consumers demanded smaller vehicles with better fuel economy. The American manufacturers produced smaller vehicles, but they had a lower level of quality. This was an effort to reduce prices. Toyota decided to hold onto the rear-wheel-drive design for longer, which created more popularity for them. In fact, they landed in third place behind the front-wheel-drive Nissan and Honda in 1983. With that said, Nissan barely beat the Corolla’s sales numbers that year. Toyota Motor Sales and Toyota Motor Company merged into one company in 1982. This merger formed the Toyota Motor Corporation. Two years after, Toyota entered a joint venture with GM referred to as the New United Motor Manufacturing, Inc. They operated a manufacturing plant in Fremont, California. NUMMI helped Toyota start new brands towards the end of the 80s. They also launched the luxury, Lexus division in 1989. Toyota spent this time focusing on producing larger, luxury vehicles. They also made the T100 full-size pickup (which later became the Tundra). After that, they added several SUVs to the mix. Consumers loved the new, sporty version of the Camry (Solara). During these years, the MR2, Supra, and Celica are also launched as iconic sports car brands. In 2001, UFJ Bank was formed through the merger of Toyota’s Toyo Trust and Banking and two other banks. This company was also accused of corruption for making bad loans to crime families. In addition, executives were accused of blocking the Financial Service Agency inspections. Fortune magazine listed UFJ among the largest money-losing corporations in the world. At this time, UFJ held the majority of stock in Toyota. To remedy the crisis, UFJ merged with the Bank of Tokyo-Mitsubishi, which turned into the Mitsubishi UFJ Financial Group. In 2003, Scion was born to appeal to the younger market in North America. Then, in 2007, the Tundra was released as an update to the full-size truck segment. Production for the Tundra occurred in Indiana and Texas. The Toyota Tundra later became Motor Trend’s “Truck of the Year,” and one of the most successful models in Toyota truck history. At the same time, Camry won “Car of the Year.” This led to the construction of two new factories. One built the Prius in Mississippi and the other built the RAV4 in Ontario, Canada. 2011 brought numerous natural disasters which hurt the Toyota company. First, the 2011 Tōhoku earthquake and tsunami disrupted the supplier base. This lead to a drop in production and exports. Then, severe flooding during monsoon season in Thailand affected Toyota. That’s because a majority of production occured there. During this time, Toyota estimated lost production of 150,000 units during the tsunami. Then another 240,000 units due to the floods. In the first half of 2014, Toyota topped global sales, with a total of 5.1 million vehicles sold in a six-month period. followed close behind with record sales of 5.07 million vehicles. The company then slashed spare-parts prices in China by almost 35%. That came as a result of China’s National Development and Reform Commission of Toyota’s Lexus spare-parts policies. The investigation was into the high prices being charged by manufacturers for after-sales servicing and spare parts. In 2015, Toyota began investing $1 billion over five years into robotics and artificial intelligence research. Then, in 2016, Toyota invested in Uber. In 2016, Toyota partnered with Yanmar and created a fiberglass pleasure boat. Toyota announced it would no longer manufacture engines or vehicles in Australia effective in 2017. Toyota is one of the first automaker’s that comes to mind when someone thinks of hybrid electric cars. That’s because they’ve been one of the leaders in the mass-market creation of hybrid vehicles in the world. They were also the first to commercially produce and sell these vehicles, starting with the Prius back in 1997. As time went on, the company offered passenger cars such as several vehicles and even the Camry with a hybrid engine. The label behind the technology is referred to as “Hybrid Synergy Drive” in Toyotas or “Lexus Hybrid Drive” in a Lexus vehicle. Hybrid passenger vehicles for Lexus and Toyota passed 10 million in early 2017. In fact, the Prius is known as the top-selling nameplate for hybrid vehicles in the world with just shy of four million units sold through January 2017. The Prius c was a spin-off from the original Prius and the second most sold hybrid for Toyota after the original liftback. In 2017, the Toyota company sold 33 varying hybrid car models plus a plug-in hybrid to more than 90 countries worldwide. The plug-in hybrid vehicles began for Toyota in 2007 with a prototype that conducted road trials in the UK and France. The company began by making 600 plug-in Prius models for lease to government and lease customers. 230 of these ended up in Japan, 125 of them shipped to the U.S, while another 200 vehicles sold in European countries. The Prius plug-in hybrid production version was then released in the States in February 2012. By, 2016, global sales of the plug-in Prius totaled 75,400, while North America accounted for 42,700 of those sales. In fact, the Prius plug-in hybrid was ranked as the second best-selling plug-in vehicle of all-time in the world following the Volt. Production of this vehicle ended in June 2015. In 2016, Toyota revealed and produced the Prius Prime which was the second generation plug-in hybrid. It was available to consumers in all of the 50 states. 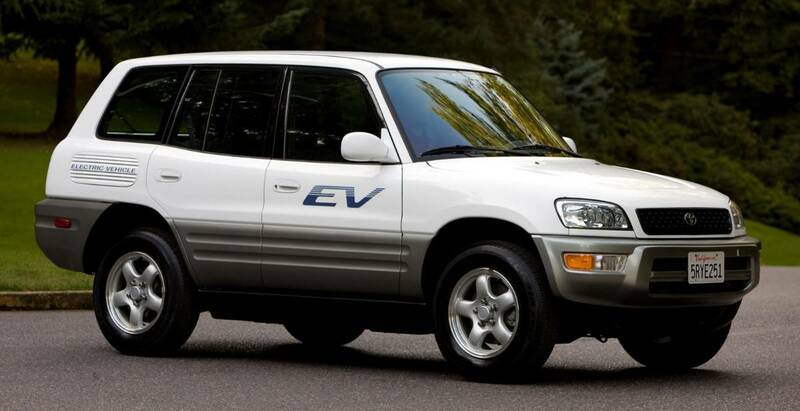 The RAV4 EV first generation was available for lease in the US starting in 1997 and ending in 2003. At the request of many lessees, some units were sold once the SUV was discontinued. In California, 1,484 vehicles were sold or leased to meet the CARB mandate for vehicles with zero emissions. In mid-2012, almost 500 of them were still in use. Then, in 2010, Toyota worked together with to create more electric vehicles. Then, Toyota agreed to a $50 million purchase price of common stock with Tesla once the planned initial public offering was complete. Together, the two companies built 35 Phase Zero RAV4s for an evaluation program running through 2011. Both the powertrain components and lithium metal-oxide battery inside the RAV4 were supplied by Tesla. Four years after the fact, Toyota began to pull out of its work with Tesla, after making more than $1 billion through that investment. The RAV4 EV Concept vehicle was then released at the end of 2012. It was assembled in Woodstock, Ontario at Toyota’s facility. Tesla built its electric powertrain in California and shipped them to Toyota. This RAV4 EV sold only in the state of California, starting with San Francisco, San Diego, and Los Angeles. Only 2,600 units were produced during its three-year run. At the end of 2015, 2,340 RAV4 EVs had been sold to retail customers in the States. After a short launch of the iQ EV (otherwise known as Scion iQ EV in the United States), in 2012, Toyota decided to back off further electric vehicle production. Instead, they shifted the energies back to focusing on hybrid vehicles. The development of the Toyota FCHV began in 2002. It was a hybrid hydrogen fuel cell vehicle built like the Highlander SUV. 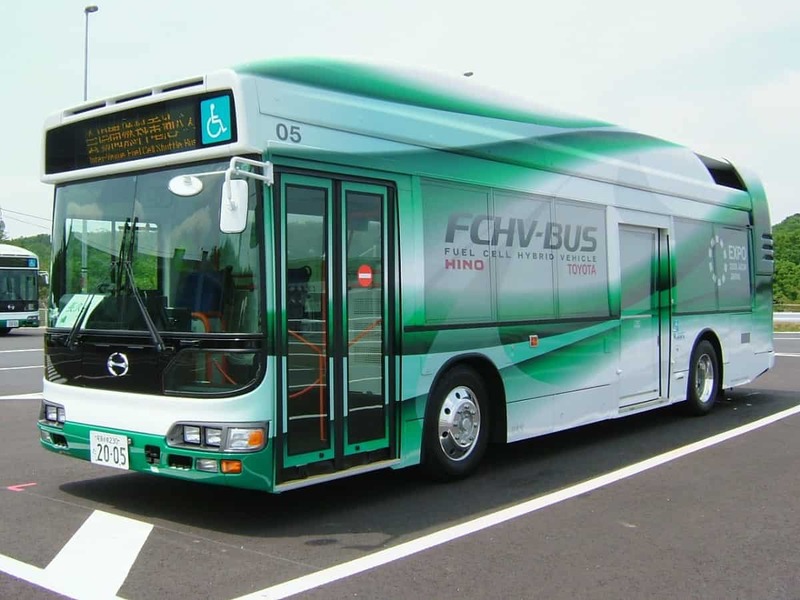 They also built a bus that was based on the Hino Blue Ribbon City low-floor bus. Toyota then unveiled the FCV-R sedan at the Tokyo Motor Show in 2011. The Mirai was based from the prototype and was one of the first hydrogen fuel cell vehicles to be sold commercially. At the end of 2017, there had been 5,300 Mirais sold, and almost 3,000 of them were in the United States. Many people wonder if Toyota vehicles are safe and the easiest way to answer that is with a quick look at the IIHS Top Safety Picks. In fact, in 2017, Toyota had nine of its vehicles listed as a Top Safety Pick. In the past few years, Toyota has regained a lot of its recognition as being a safe vehicle. With that said, Toyota is known for the sudden unintended acceleration issues in the early 2000s. From 2002 until 2009, several petitions were made to the NHTSA about unintended acceleration in both Lexus and Toyota vehicles. Many of these petitions resulted in evidence for pedal misapplication. The NHTSA also concluded that Toyota didn’t have more incidents than other manufacturers. Despite the fact that Toyota claimed it was driver error, they did recall problematic floor mats which occasionally pinned down accelerators. Then, instead of communicating within the company over these floor mats, they produced more new cars with the same issues. In fact, one of these vehicles caused the death of a California Highway Patrol officer and his entire family on August 28, 2009. After his death, Toyota recalled vehicles related to the unintended acceleration seven times between September 2009 and March 2010. This included 10 million vehicles that had the all-weather mats and carpet covers switched out. At that time, there was still no evidence suggesting an issue with the Electronic Throttle Control System (ETCS). In April 2013, a freelance translator for Toyota worked on some internal documents and claimed Toyota covered up facts related to the acceleration issues. This sparked a criminal investigation by the Justice Department and the FBI until March 2014 when the DOJ issued a $1.2 billion criminal penalty for misleading customers. That was separate from the $1.2 billion settlement to Toyota drivers due to depreciated values as a result of the SUA issues. They also paid $66.2 million in fines to the Department of Transportation for not handling recalls correctly and $25.5 million to Toyota shareholders for lost value in stocks. There were also almost 400 wrongful-death and personal injury cases settled out of court as a result. Since then, Toyota has never claimed to be at fault for any of the issues. Toyota claims to spend over $1 million per hour on safety research and development to improve their vehicles. 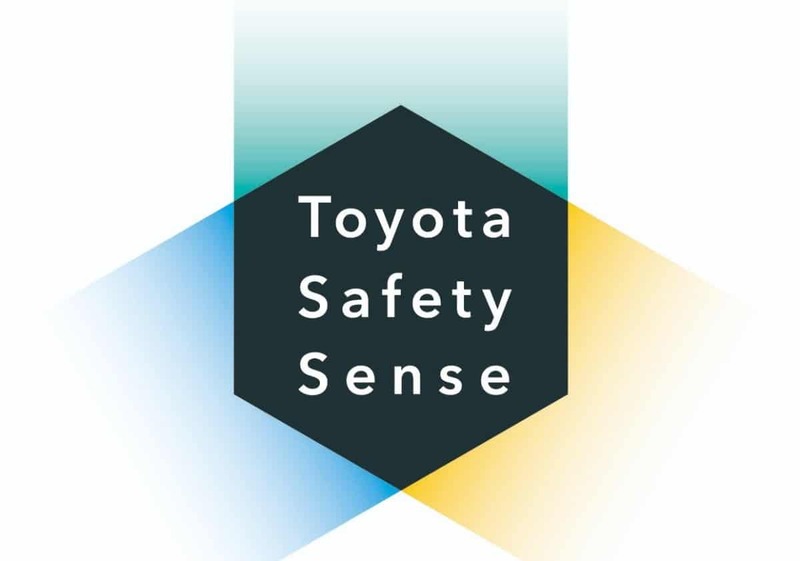 Many newer vehicles come equipped with the latest Toyota Safety Sense (TSS) Suite. This bundle includes active safety features to protect drivers and passengers on the road. This suite includes a Pre-Collision System that alerts the driver and might apply the brake if there’s a potential for front-end collision. It also includes the Lane Departure Alert which is a camera on the vehicle’s windshield which alerts the driver if they’ve veered out of their lane. Automatic High Beams are part of the bundle as well; run again through a camera on the windshield. The vehicle detects headlights and taillights of other vehicles and toggles the high beams accordingly. The Dynamic Radar Cruise Control uses radar located behind the Toyota badge plus the camera on the windshield to adjust speeds when there’s a car in front of your vehicle. Another aspect of the suite is a Pre-Collision System with Pedestrian Detection. This system uses the radar and camera together to reduce the chances of colliding with a pedestrian or vehicle. Through November 2009 and part of 2010, Toyota recalled over 9 million vehicles as a result of the unintended acceleration issue cited above. In 2012, Toyota recalled another 7.43 million vehicles due to malfunctioning window switches. This was the most massive auto recall since in 1996. In November 2014, Toyota participated in the Takata airbag recall which involved more than 7 million vehicles in the United States. Defective inflaters paired with propellant devices which deployed improperly led to metal fragments shooting into vehicle occupants. Toyota offered a free repair to affected vehicles. This recall spanned across many major auto manufacturers. Despite the fallout from the acceleration issues, Toyota continues to be a leader in consumer satisfaction worldwide. One of the gauges to determine how consumers feel about a brand is through . Scores in this survey are based on whether owners would purchase the same vehicle again and how the vehicle lived up to their expectations. For 2017, Toyota received a score of 76 out of 100 which put them in 8th place behind and . Unfortunately, this was three spots lower than in 2016. In the J.D. Power 2017 U.S. Vehicle Dependability Study, Toyota received more dependability awards than any other brand. The 2014 Toyota Avalon. In fact, it took the highest marks in the Large Car segment, beating out the 2014 Buick LaCrosse and 2014 Kia Cadenza. In addition, the 2014 Toyota Camry ranked highest in the Midsize Car segment beating out the 2014 Chevrolet Malibu and 2014 Hyundai Sonata. If that wasn’t enough, the 2014 Toyota FJ Cruiser ranked highest in the Compact SUV segment beating the 2014 Chevrolet Equinox and 2014 GMC Terrain. As expected the 2014 Toyota Prius ranked highest in the Compact Car segment and the 2014 Toyota Prius V ranked highest in the Compact Multi-Purpose Vehicle segment. 2017 was a good year for Toyota because the 2014 Toyota Sienna also ranked highest in the Minivan segment beating the 2014 Chrysler Town & Country and 2014 Dodge Grand Caravan. Finally, the 2014 Toyota Venza ranked highest in the Midsize SUV segment beating the 2014 Ford Edge and 2014 Honda Pilot. Toyota received more 2017 J.D. Power Vehicle Dependability Awards than any other car brand. They also received the most 2017 Best Resale Value Awards from Kelley Blue Book’s KBB.com. In addition, Toyota had more 2017 IIHS Top Safety Pick Plus Winners than another brand. In 2017, the Toyota Tacoma also won best Mid-Size Truck of Texas. Starting with the 2018 Olympic Winter Games held in Pyeongchang, South Korea, Toyota became the first mobility sponsor. To kick off the eight-year partnership, Toyota played heavily on the mobility aspect and ran ad campaigns related to the movement of the human body. The deal was signed in 2016 and continues through the 2024 Summer Olympics scheduled for Paris. Considering the brand is Korean, it seemed that the 2018 Olympics were a strange venue for Toyota to make an appearance. In fact, they had to compete with many local sponsorships occurring during that time. While Toyota kept their presence at the Olympics low-key, Hyundai provided about 4,000 vehicles to organizers and athletes. They also showcased their fuel cell technology at the Olympic Village and demonstrated autonomous vehicle capability. Toyota on the other hand had no pavilion at the Games and didn’t give out any vehicles. Are Toyotas made in Japan? Toyota is headquartered in Aichi, Japan. It’s a multinational company with over 350,000 worldwide employees. In 2017, Toyota was the second-largest auto manufacturer in the world. They’re also the first manufacturer to make more than 10 million automobiles per year, which has been accomplished every year since 2012. The president of the Toyota Motor Corporation is Akio Toyoda. At the conclusion of 2017, the company conducted business between 51 overseas manufacturing companies located in 28 countries. Toyota vehicles are sold in over 170 countries worldwide. 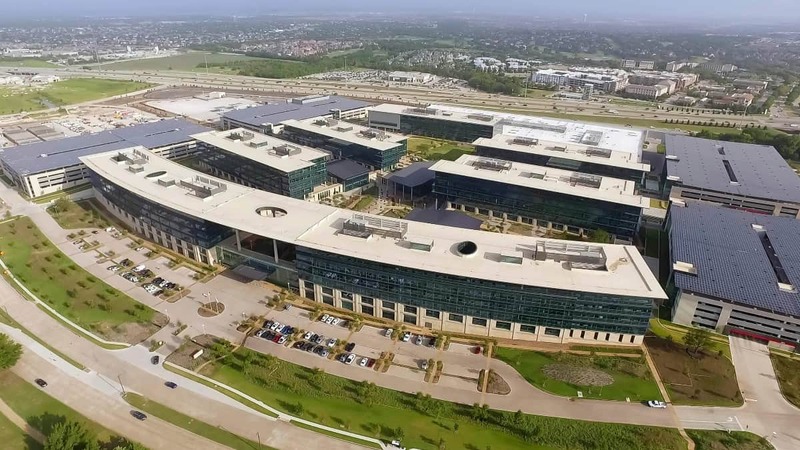 Toyota Motor North America is located in Plano, Texas. The manufacturing headquarters is located in Erlanger, Kentucky. In the United States, there are six major assembly plants. They are located in Georgetown, Kentucky, San Antonio, Texas, Blue Springs, Mississippi, Huntsville, Alabama, Princeton, Indiana, and Buffalo, West Virginia. It once had joint ventures with GM in Fremont, California through 2009. Currently, they have a joint venture with Subaru in Lafayette, Indiana. Toyota’s revenue from 2017 was about $248 billion. As of 2015, Toyota ranked as the second most valuable corporate company in Asia. They also ranked tenth on . At the end of 2017, Toyota Motor North America reported yearly sales at 2,434,515 automobiles. This was a 0.6-percent decrease from 2016. How many brands does Toyota have? The Toyota Motor Company owns several other automobile companies. While it once held Scion, that has now melded into the Toyota brand. Daihatsu – Owned by Toyota since 2016. This is the oldest surviving Japanese internal combustion engine manufacturer and currently produces numerous passenger vehicles. Fuji Industries – Owns some stake in this company that is the parent of Subaru. Hino Motors – Based in Tokyo since 1942. The company produces medium duty (class 6 & 7) commercial trucks. Isuzu – While they once made automobiles for passengers, they now are a Japanese company specializing in commercial vehicles and diesel engine manufacturing. – Owned by Toyota since 1989 as their luxury brand. It’s been successful ever since. Non-Automotive Business ventures include investments in aerospace, philanthropy, higher education, robotics, agricultural biotechnology, and sewing machine technology. They are one of the minority shareholders in the Mitsubishi Aircraft Corporation with an initial investment of $67.2 million to produce the Mitsubishi Regional Jet. Philanthropic efforts include partnerships with the American Red Cross, Leaders in Environmental Action for the Future (LEAF), the National Center for Family Literacy, and the Boys and Girls Club. Toyota also created the Toyota Technological Institute in 1981. In addition, they have an investment in several biotechnical corporations. These include P.T. Toyota Bio Indonesia, Australian Afforestation Pty. Ltd, Toyota Floritech Co., Sichuan Toyota Nitan Development Co., and Toyota Roof Garden Corporation. What does the Toyota logo represent? Since 1990, the company has held to three overlapping Ellipses as the logo on American vehicles. These Ellipses symbolize unification of the customers’ hearts to the heart of Toyota’s products. In the logo, there is also a background space. This represents the technological advancement and opportunities ahead of the company. Toyota’s Motor Corporation set principles and behaviors to guide their company, otherwise known as The Toyota Way. These values, manufacturing ideals, and philosophy have been in place since 2001. The principles consist of two main vital areas: respect for people and continuous improvement. The company has a broad involvement with global motorsports. Not only do they represent the Toyota brand but also numerous Lexus vehicles as well. They also make auto parts and engines for Japanese motorsports. This includes the Formula Toyota Series, Formula 3, Super GT, and Formula Nippon. The company operates a driver development program that is known as the Toyota Young Drivers Program. This funds and educates aspiring motorsports talent. The Motorsport division of the company is headquartered in Cologne, Germany. They develop vehicles for Formula One, the Le Mans Series, the FIA World Endurance Championship, and the World Rally Championship. Toyota Racing Development (TRD) develops high-performance parts for standard Toyota vehicles. TRD sees ample success in the aftermarket business. They are also responsible for designing technology used in racing. TRD is the division of Toyota that’s responsible in NASCAR as well. They’ve also made the F-Sport, which is the performance division of Lexus. Toyota provides further knowledge regarding their products through the use of plant tours and museums. Sakichi Toyoda Memorial House – Explores the creation of the automatic loom and the life of Sakichi. It’s located in Yamaguchi Kosaishi Shizuoka, Japan. It’ s also free to enter. Toyota Automobile Museum – Showcases the Toyoda Model AA. They also show the birth of the first gasoline-powered automobile. Other exhibits highlight modern technologies. It’s located in Nagakute City, Aichi Prefecture 480-1118, Japan. Toyota Commemorative Museum of Industry and Technology – Showcases textile machinery and the steam engine. Other highlights include the steps of manufacturing, and the principles and mechanisms. It is located in Nishi-ku, Nagoya 451-0051 Japan. Toyota Kuragaike Commemorative Hall – Built in 1974 when Toyota manufactured its 10-millionth vehicle. The residence of founder Kiichiro Toyoda was rebuilt in a corner as a reminder of the early days. It’s located in Toyota City, Aichi Pref., 471-0001 Japan. Financial operations run through Toyota Financial Services. They provide resources to over 30 countries in the world. It’s owned by Toyota Motor Corporation (TMC). The first financial operation began in 1982 in Sydney, Australia. Services then expanded into the USA, Europe, Canada Oceania, and Asia. Services cover about 90% of the markets that Toyota sells vehicles in. Primary services include auto loans, dealer floorplan requirements, and auto leases. Other services include credit cards, investment trusts, insurance, and corporate bonds. Currently, TFS finances about 5.4 million consumers. They also own the Toyota Motor Credit Corporation and the Toyota Financial Savings Bank, a chartered bank located in Henderson, NV. The company also supplies rebate and finance programs. Another focus is on various protection plans for vehicles. Some protection plans include Vehicle Service Agreements, and Guaranteed Auto Protection. In addition, they offer Prepaid Maintenance Plans, Tire & Wheel Protection, and Excess Wear & Use Protection. Toyota Motor Sales oversees sales of both Lexus and Toyota in 49 states. They currently have a network of 1,200 Toyota dealers. At least 900 of these dealers previously sold Scion vehicles. 200 of the dealerships are dedicated to Lexus vehicles. In Hawaii, Toyota vehicles are distributed by Servco Pacific. TMS handles all television campaigns for the company. They also offer nationwide marketing materials to the dealers. On top of that, supervision of the dealers occurs through TMS as well as regional distribution management. The company offers superior dealerships various awards so the consumer knows who to buy from. One of their more prestigious awards is the President’s Cabinet Award. Being the most exclusive award, it’s limited to only 12 dealerships in the nation. This award recognizes high-volume sales, operational superiority, and outstanding customer satisfaction performance. Following that award, there’s also a President’s Award which honors Toyota dealers that excel in all facets of their operations. The company also maintains a Customer First Advisory Board (CFAB). This recognizes the top 50 Parts, Service and Customer Satisfaction dealerships in the United States. Winners are based on dealership achievement in sales and customer satisfaction. J.D. Power also recognizes several dealerships for their performance. In California, recognition goes to Toyota Marin and Toyota Sunnyvale. In Georgia, there is only one dealership listed, Milton Martin Toyota. That’s the same for Massachusetts with Herb Chambers Toyota of Auburn. Finally, there is also one registered in Virginia, Haley Toyota of Farmville. Are Toyotas durable? A quick look at the road should answer that! People claim they run forever, and it isn’t far from the truth. Studies show that eighty percent of the Toyota vehicles sold 20 years ago are still in operation today. As discussed earlier, Toyota started in 1937 as an Automatic Loom Works company. What you might not know is that Toyota is still in the textile business. While it’s not as popular as their automotive business, it’s still a part of their heritage they haven’t let go of. Prior to the Korean War, the company was on the verge of bankruptcy. In June 1950, they only produced 300 trucks. Then, during the first few months of the War, the United States ordered over 5,000 vehicles and restored the company. Many companies have patents for their products they manufacture. What makes Toyota unique is that they have the highest number of patents on record. In fact, from 2011 to 2015, they earned an astounding 9,807 patents. To get drivers off their phones while driving, Toyota lead the way with Bluetooth capability. They were the first automaker to make it mandatory that all new cars have Bluetooth technology. Omitting this technology is not an option for them. In 2017, Fortune Magazine names the brand on the “World’s Most Admired Companies” list. It was the third consecutive year Toyota received recognition. According to the MIT Technology Review, Toyota joins the ranks with the world’s 50 smartest companies. They were one of only two automakers to receive this accolade. The company has achieved this through heavy R&D investment. In fact, Toyota spends about $1 million on R&D every hour across the world! In 2016, almost 300,000 Corollas were sold. From 1966 to 2013, total Corolla sales topped over 40 million. Consumers propelled this passenger vehicle to earn the world’s bestselling car of all-time award. The company supports development of a flying car. It’s scheduled to light the Olympic flame in the Tokyo 2020 Summer Games. In 2016, the company reached $700 million given in philanthropist contributions. What Country Is Toyota From? Is Toyota Japanese? Toyota is a Japanese company, and the largest of all of Japan’s automakers. In fact, Toyota is also the largest automobile manufacturer on the planet, and the 12th largest company in the world in terms of revenue. Does Toyota Own Lexus? Yes. Like Honda’s Acura division, and Nissan’s Infiniti brand, Lexus is Toyota’s luxury equivalent. Lexus is a brand under the Toyota umbrella. Does Toyota Own Subaru? Toyota owns a 16% share of a company called Fuji Heavy Industries, which is the parent organization that owns Subaru. The two companies are very close and share technology, but unlike the relationship Toyota enjoys with its Lexus brand, Toyota does not own Subaru.